"Growing up in a family of machinists and cabinet makers I discovered that I shared that same passion for working with my hands but I also wanted a career in which I could help others. 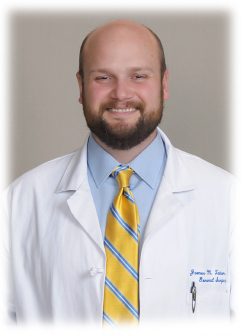 I chose medicine and general surgery to combine these two interests and work with people in a direct way." I grew up on a farm and worked through school for the U.S. Forest Service fighting fires and building wilderness trails. Now I enjoy being outdoors with my son hunting birds, hiking, fishing and sailing out on the open sea.